Vulnerable American troops stationed along Syria’s volatile northern border could be outgunned following an alleged chemical attack that’s skyrocketed tensions between President Trump and Russia, warned U.S. Rep. Stephen F. Lynch. The alarm comes as French and British officials joined Trump’s call to respond “forcefully” to the chemical attacks and Kremlin officials also increased their saber-rattling. “It’s a real soup of things that could go wrong, and I’m just worried about the capacity of our people to defend themselves,” said Lynch, the ranking Democrat on the House national security subcommittee. The U.S. currently has 2,000 troops in Syria, originally sent there to target Islamic State fighters. 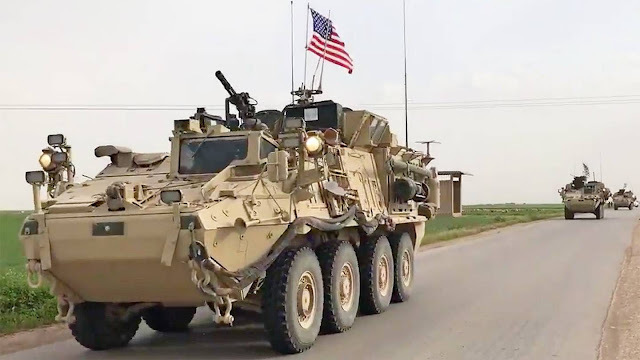 But a group of U.S. troops helping Kurdish allies between Aleppo and the city of Manbij is surrounded by 20 to 30 well-armed hostile militias, Lynch said. I've got to get my mind right about SOCOM. SOME OF THOSE GUYS might be divas, but most are just great people and many are on the tip dangling by a thread. I never even considered the thought that the Russians/Syrians/Iranians could target our Special Ops people in Syria if things go bad. We're hung too far out all over the world and that makes it easy for anyone to take a swing and hit. We've got to change our deployment posture, reform the Rapid Deployment Force and bring our people back from the frontiers. Rome didn't do it till it was too late. We don't need to repeat their mistake.